On a recent trip down to Southwest Florida I met up with Capt. Glen Brownlee to deck out his personal flats boat as well as the fire departments boat he works on. Glen’s personal boat he runs trips out of is a Sea Chaser 200 FS. This flats skiff provides a nice stable platform to fish off of. 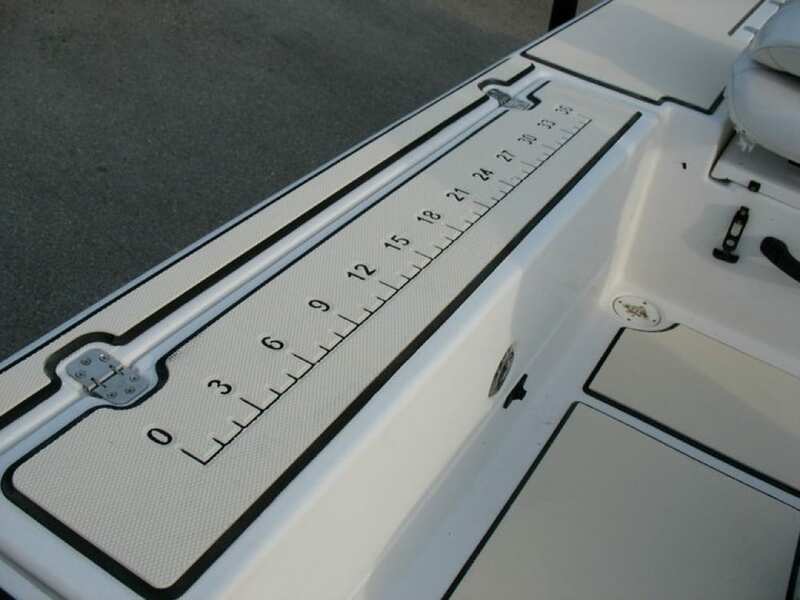 The boat had a molded non skid pattern on the deck that we used as the pattern to scan. 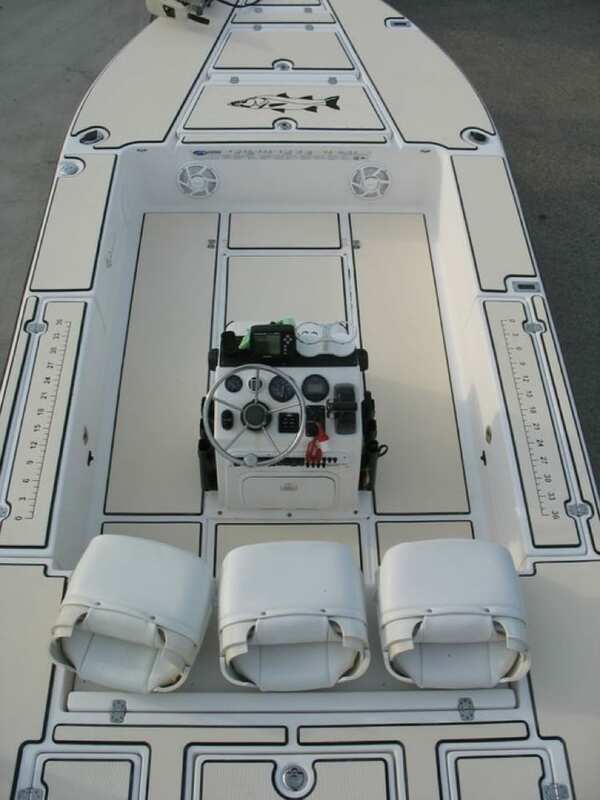 We decided to go with 6mm two tone SeaDek in the combination of Beach Sand over Black which added a very nice contrast to the boat and really set it off. 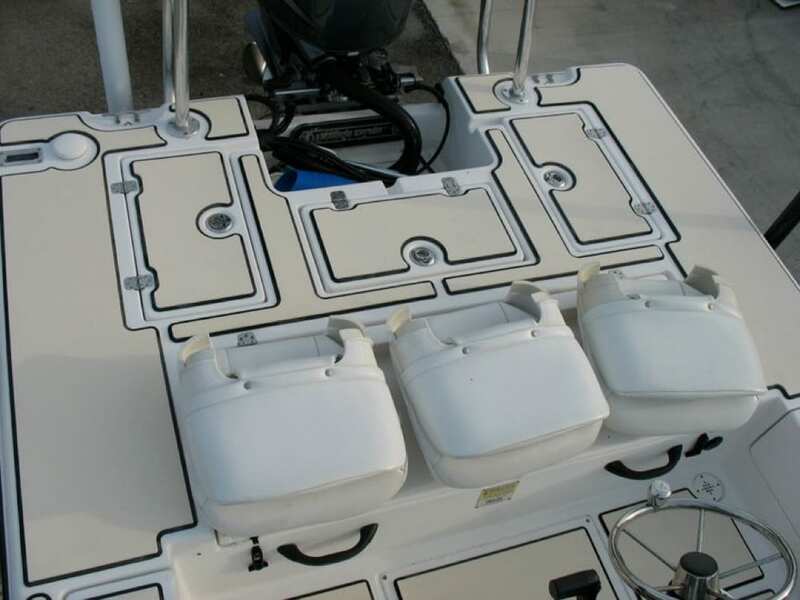 Many customers choose SeaDek as an option to cover up spider cracks or areas of the boat where the non skid patterns has worn off. 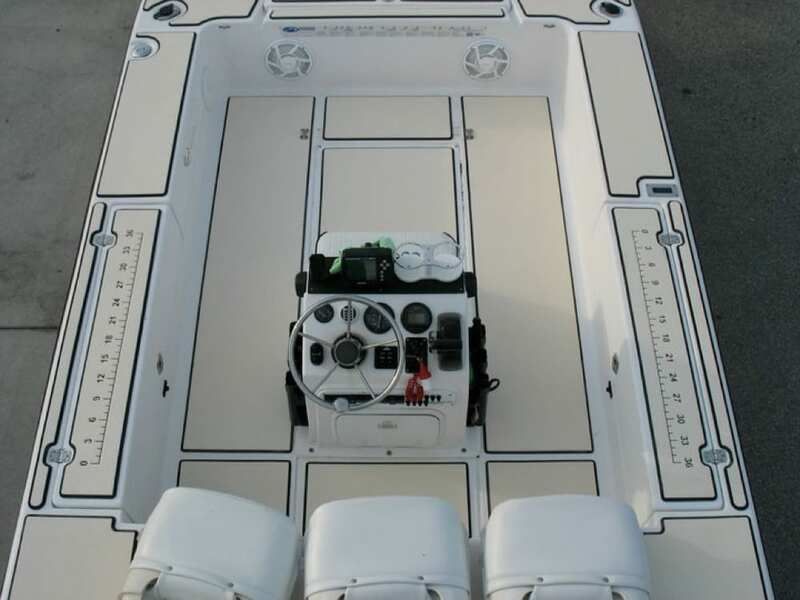 Everything on this particular boat looked good, but the combination of comfort, traction, and looks added by the custom SeaDek made Glen decide to pull the trigger and fully deck out the boat. SeaDek added a very nice face lift to the boat and made it look brand new. We also decided to throw in a few custom logos to really customize the job. 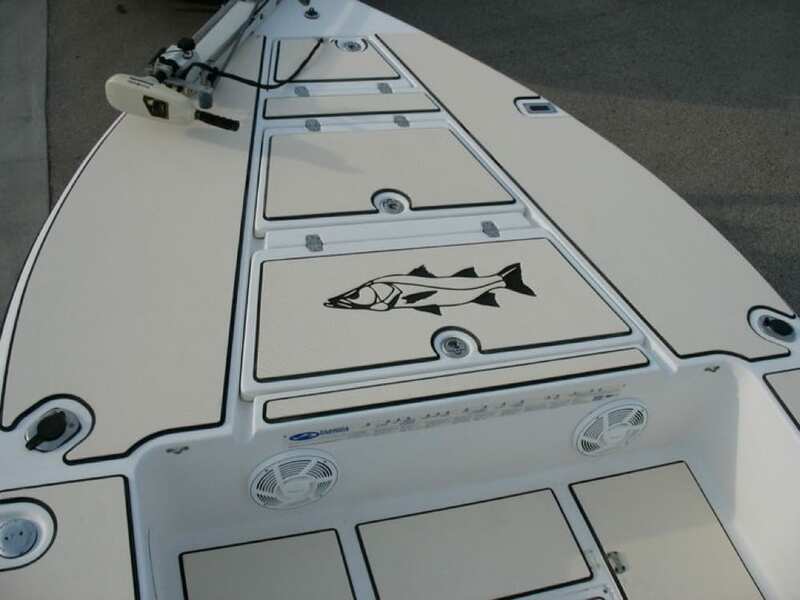 We added a snook logo to the front deck and also added a ruler stick on each gunnel so Glen can measure fish easily. If you need to give your boat a face lift, no matter how big or small, you can contact Castaway Customs at info@castawaycustoms.com.